Ever felt stressed at your job? Has this ever negatively affected your personal life, your overall happiness or even physical health? 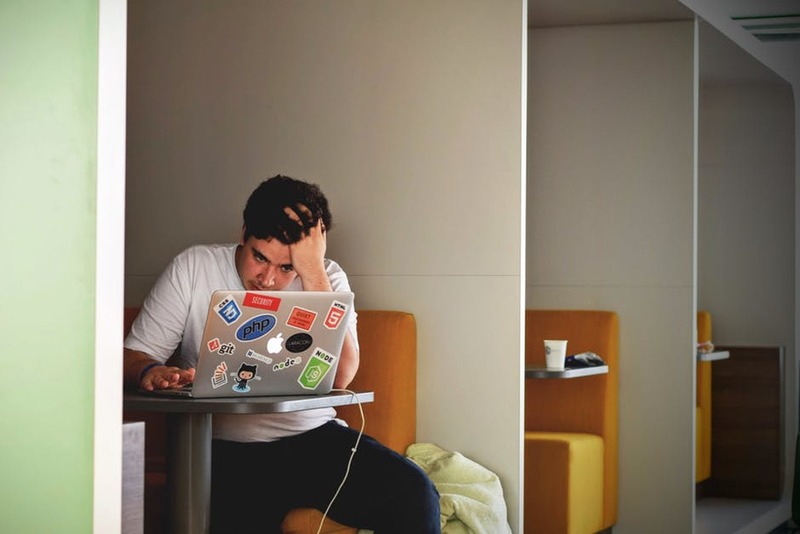 Regardless of your position, area of expertise or industry, you may have experienced one or more of these common workplace stressors. Read along to see how you can anticipate stressful situations and potentially lessen their negative effects. In a world where we can complete our work literally anywhere – on land, water, in the air and even on weekends - we often seem to be working so much but not actually getting things done efficiently. Emails, calls, questions, information overload! Often times, we may feel as if the workload of five other employees is placed upon us. Additionally, the report is now due in two days instead of ten. Now what? The initial thought may be to stress or worry. We all know that these reactions are both natural and unhealthy. Stress can easily and swiftly consume your workday and beyond. To stop your thoughts from being consumed by all things work related, please first consider the below solutions. Try to anticipate stressful deadlines and potential crazy work hours. If you know that a pivotal presentation or event is coming up, set early reminders in your calendars (use Microsoft Outlook both on your laptop and your mobile devices) to begin preparing daily. Always account for errors, detours or any other unforeseeable events. Use certain analytics tools to track how long certain tasks take you. Office 365 have great tools that can assist – test Delve Analytics. For instance, how much time to spend on the phone, composing emails, and attending meetings? How much do administrative tasks take up of your working hours? Do you often work late hours? How much focus time do you have for strategic planning? Accurately track your work week and make adjustments as needed. Consult with your peers to re-distribute the workload. Find ways to streamline your work efforts to efficiently reach the realistic target date. Use Office 365 Collaboration tools such as Planner or Teams, they are all integrated within the platform and share a similar user experience. Once you master those tools, you should see great progress in distributing the workload amongst the team and keeping track of all assignments. Let’s be honest, sometimes we are also distracted because constant notifications and phone buzzing interrupt our workflow – but wait, it doesn’t have to anymore. Virtualdeveloper.com, LLC is introducing a smart way in which “social media” no longer acts as sidekick but rather functions as a harmonious connection between work and play. We’d like to call it Formal Media. Interested? Be among the first 100 users to try it - sign up for free here. Let’s connect! As you approach a new project or begin working with a new client, precision and clarity, among many other critical factors, will greatly facilitate the success of your work. Lack thereof will often leave you guessing on requirements, resources, and due dates. To avoid such common yet unnecessary stress, effective communication is a viable remedy. Ask questions, make comments, question tasks, and offer realistic solutions. Communicate with your peers, direct reports, and supervisors using a variety of channels to clear up any confusion or inconsistencies that could hinder you or your team from efficiently completing your tasks. For formal meetings, utilize email, phone calls, conference meetings or in person conversations. For a more casual approach, turn to applications such as your company directory, intranets, Yammer or Workplace by Facebook. Indeed, we are introducing a way to facilitate such inter-departmental and company-wide communication. Your Workplace posts will then simply embed within your corporate intranet – as far as we know, this has not yet been done before. Once all indecisions or confusions are cleared, you are ready to tackle the next hurdle. Use sophisticated resources to track, monitor, and analyze your work and subsequent results. Then, you are able to continue your work with precision. Set up automatic reports and present those to your team to reassess your strategy if needed. Implement lessons learned either at the end of each quarter or major hurdle (define those schedules as necessary) and re-evaluate all requirements. Once all participants are content, use tools to build templates and workflows so that you can replicate certain tasks automatically without leaving any room for error or confusion. The final major workplace stressor this article addresses is the lack of valuable resources. These could include time, technology, money, necessary talent, knowledge or expertise. If you believe that throughout the workday, you are lacking one or more of these resources, we urge you to quickly define it and take action immediately. If you believe you need more time, first assess how you are currently using the time available to you. Use some of the suggestions mentioned in point one. Delegate all low-value activities and limit distractions as much as possible. If you believe that an unrealistic timeline was set for a specific task, speak with your team to adjust such tight deadlines. Suggest a new target date as you analyze how much certain tasks take you and your team. If certain technology or tools are missing within the department or organization, suggest software that can facilitate your workload. Before you implement a certain tool, ensure that a solid work process or workflow is in place first. Then, brainstorm with the team to find bottlenecks, slowdowns or areas that can be automated and find tools that can assist the team. SharePoint, for instance, is one such great tool that houses many applications that can automate your workday. If you believe that you or your team is lacking specific skills to complete your work, look into training opportunities. You will find many such documents, videos or live trainings all around you. If the work of your department would be greatly improved by outsourcing, look into hiring on-site or remote consultants. They will be a great resource in case you need short-term subject matter experts or long-term valuable additions to the team. Interested in our products and services? Click here to connect with us.